The establishment became known as 'The Blue Maids Orphanage' because of the colour of the uniform worn by the girls: a dark blue dress with a large white apron and mobcap was worn indoors, while a white cotton cape, white straw with dark blue ribbon strings, white elbow-length knitted gloves, and strong shoes, were worn for walking. A thick cloth cloak of blue and black check was added in cold weather. Every article of clothing worn by the girls was made by themselves, with the exception of their bonnets and shoes. In 1916, the institution adopted 'The Blue Maids Orphanage' as its official name. The Orphanage originally occupied Ashley Manor House which had previously been used as a Roman Catholic place of worship and a female penitentiary. The first three inmates entered the institution on 12th January, 1795, with the first name entered into the admission book being that of Bethlehem Dawes. The first patron of the home was Miss Gibbs who donated the sum of £100 to its funds, in addition to an annual subscription of five guineas. Miss Gibbs continued in this role for 46 years. Asylum for Poor Orphan Girls, Ashley Manor House, Bristol. 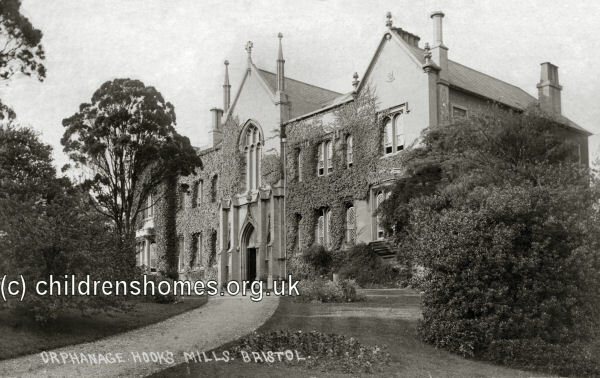 In 1829, the Orphanage moved to new premises at Hook's Mills, Ashley Hill, Bristol, where 60 girls could be accommodated. Girls were admitted to the establishment from 6 to 12 years of age. Certificates or other satisfactory proof of parents' marriage, child's birth, and death of father and mother were required, together with a medical certificate of the child's health. In 1893, admission was extended to those who had lost only one parent. The Orphanage site is shown on the 1903 map below. 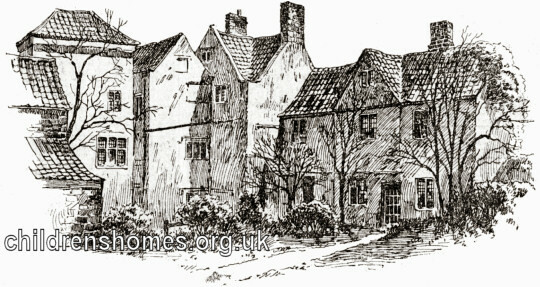 The Blue Maids Orphanage site, Bristol, c.1903. Asylum for Poor Orphan Girls (The Blue Maids), Bristol. In May, 1873, an infirmary was completed at the site. The Orphanage closed in 1927 and the building was acquired by the Salvation Army, then later becoming Mount Hope Nursing Home. The building was demolished in the early 1970s. Bristol Record Office, 'B' Bond Warehouse, Smeaton Road, Bristol, BS1 6XN.